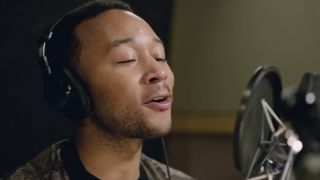 Update: A source familiar with the situation has told us that the John Legend voice is not live yet, and was caused by a bug, which has now been fixed. If you have a Google Home speaker, you may be able to use it to converse with musician John Legend... sort of, anyway. Google announced at its May 2018 I/O developer conference that it was bringing six new voices to Google Assistant, including that of 'Ordinary People' singer John Legend, but until now, there was no indication that a release was imminent. According to Android Police, some users are reporting that "Google Home will speak in its John Legend voice, but only in specific circumstances." For example, if you say 'Thank you' to your Google Home speaker, it may reply "You're very, very welcome' as Legend. Amazon Echo vs Google Home: which is the best smart speaker for you? Android Police says that it's been able to replicate that by saying "Thank you, John Legend," but said that there doesn't appear to be any way of enabling this feature in Google Assistant's settings. Google originally claimed that John Legend would become a regular voice for Google Assistant, so the new feature might be the company's way of teasing its voice assistant's new sound ahead of a full release. As well as promising a John Legend voice, Google also brought out five other new voices in a range of accents, including American English and Australian English. It's part of a general push across voice assistant developers like Google, Amazon, and Apple to make their creations sound less robotic, and to encourage more natural interactions between voice assistants and customers. Earlier this year, Amazon rolled out a fresh new speaking style to Alexa users in the US, modeled on the way newscasters deliver the news. The 'newscaster voice' is designed to have clearer intonation and to emphasize words in a way that sounds less robotic than Alexa's default voice.